Sixteen (!) games received votes, which may be a new poll record. Last year was stacked with great games, but I agree with you guys: The Walking Dead stood tall above the rest. No game has ever provided the type of emotional experience for me quite like Telltale’s adventure saga. This Week’s Poll: Despite atrocious critical reviews, the new Die Hard film topped the box office over the weekend. Rather than dwell on a series that has apparently been pushed too far, let’s focus on the highlights of its star, Bruce Willis. What two films do you consider to be the best in Bruce Willis’ filmography? I think I’m going to have to go with Die Hard and Unbreakable. The Sixth Sense was good, but I can’t picture watching it again. Pulp Fiction is arguably a better movie than the two I picked, but I just don’t think of it as a Bruce Willis movie; it usually takes me a few minutes to even remember he’s in it. Good reasoning all around. I wonder how many people will vote for Pulp Fiction — it’s a fantastic film, but it’s not really a Bruce Willis movie, as you said. I still need to see Unbreakable. I’m so glad to see The Walking Dead win this one, it’s a fantastic game! I’ve gone for predictable ones I’m afraid – Die Hard and Pulp fiction. Agreed on The Walking Dead. Can’t wait for season two. No complaints about those picks — both are amazing films! Finally played Walking Dead all of the way through. The game’s storyline was definitely emotional, some parts of the game’s mechanics were just OK to me. I went with Moonrise Kingdom and Hudson Hawk for my choices for Bruce Willis films. Yeah, some of the point-and-click stuff was rough around the edges, but the storyline and character development were top notch. I felt the writing more than made up for any gameplay shortcomings. Glad you were able to finish the game! I missed the voting and of the awesome bunch I’ve only played Far Cry 3, Journey, and Mass Effect 3. Still, between those three it’d be tough. I think Journey is phenomenal but I’d probably drop it in favor of the sheer vastness of the other two. I still need to play Far Cry 3, but I really enjoyed the other two games you mentioned. I’m glad all three got votes. Nice! I’m glad that so many different films are getting votes. I was worried that it would be a blowout, but so far it’s pretty close. Still need to play it, not sure why I haven’t, same goes for Fez. Surprised by the lack of love for Halo and Journey though, yo. Hey man, great to see you around these parts again! You really ought to give The Walking Dead a shot. It’s a pretty quick playthrough — just five episodes, each roughly two hours long. Some of the best storytelling I have ever seen in a video game. As for the new poll – Die Hard and The Sixth Sense. Good stuff. Thanks for voting! I have to get my hands on The Walking Dead after so much praise. As for the Willis poll, I’m casting my vote for 12 Monkeys and Pulp Fiction even though Looper was a very close third. 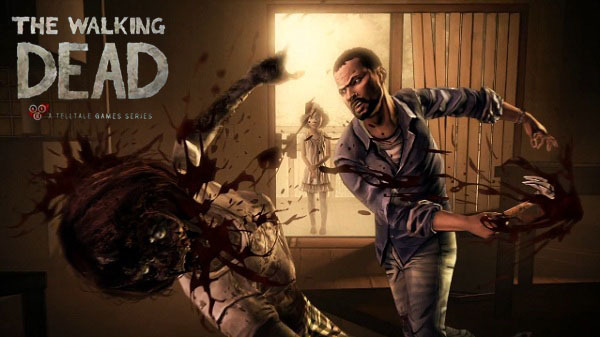 I didn’t even know The Walking Dead is also a video game. Looks like it’s popular all around. The video game is the best thing associated to the name, too. I’m not a fan of the show at all, but the game is amazing. Die Hard (classic) and Unbreakable. One of his better newer films. Though it was a tricky one. Love Looper, Twelve Monkeys, Pulp Fiction, Fifth Element too. Don’t know if it’s just me, but he’s been in a surprising number of sci-fi films. Yeah, you don’t really think of Bruce as a sci-fi guy, but he has been in a few great ones. Another reason I need to see Unbreakable! Excellent game, The Walking Dead, and deserving of the title. The entire list of best games in 2012 is essentially a list of must-play games, and with so much variety that you’ll never be bored. Agree with you 100%, man — 2012 was an excellent year for gaming.